There are no shortage of accounting, payroll, or POS tools. As an eCommerce seller, wholesaler, or online retailer, you have an increasingly large number of choices to make when it comes to managing the financial state of your business. And, as it might seem, many business owners are overwhelmed by their choices. According to a report, only 40% of small business owners feel they are extremely knowledgeable about accounting and finance. Yet, there seems to be a never-ending list of new tools that are built specifically to help you more easily manage your day-to-day finances. So, what gives? You have a LOT to think about as a small business owner—even more depending on the complexities and uniqueness of your own business. Finding the right financial tools for your business shouldn’t be a stressful task. So, in this post, we’ll take a closer look at six, seriously helpful financial tools for small eCommerce, wholesale, and/or retail stores. Whether you or already using these tools in your business or not, they’re worth checking out. 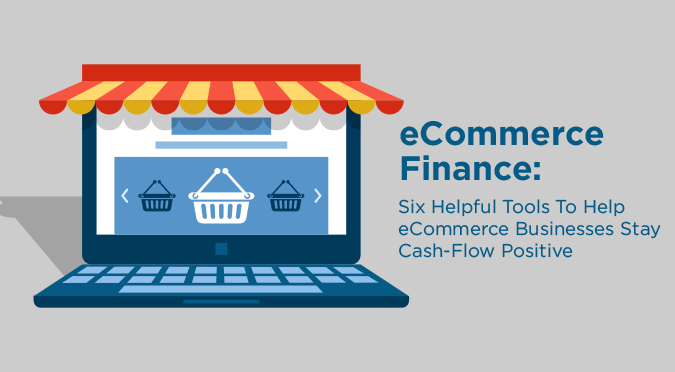 Exclusive Bonus: Download this Free Cheat Sheet That includes six, money-saving tools that will help your eCommerce business stay cash-flow positive! You most assuredly know QuickBooks, Intuit’s market-leading accounting software for small businesses. QuickBooks powers more than 30 million small businesses in the U.S. alone, and enjoys nearly 80 percent market share. QuickBooks makes it easy to sync real-time data between your sales system and its own software (especially if your online store runs on Shopify). QuickBooks allows you to easily integrate with Shopify, enabling you to easily import all of your order and refunds directly into QuickBooks. You can also sync orders, record Shopify fees, view a summary of your account balances, and understand what sales tax you owe. QuickBooks also integrates with many popular inventory management systems, including Stitch Labs, SOS Inventory, Unleashed, and TradeGecko, just to name a few. From right within QuickBooks, you can view inventory quantities, order value(s) and status, and manage your purchase orders. Xero bills itself as the “QuickBooks alternative,” though if we’re being honest, the two are very similar. Yet, where Xero shines—particularly from an eCommerce standpoint—is in its flexibility. Xero integrates with more than 450 add-on business applications, which means that most shopping cart, inventory management, point-of-sale (POS), CRM, payroll, and sales tax platforms play nicely with Xero. In fact, you’d be hard-pressed to find a popular eCommerce platform that Xero does NOT support. Like QuickBooks, Xero offers seamless integration with leading eCommerce platforms, including Shopify, Magento, and WooCommerce. Vantiv provides credit card processing and merchant payment services for all types of businesses, including in-store retail and eCommerce. Yet, Vantiv isn’t just another payment processor. 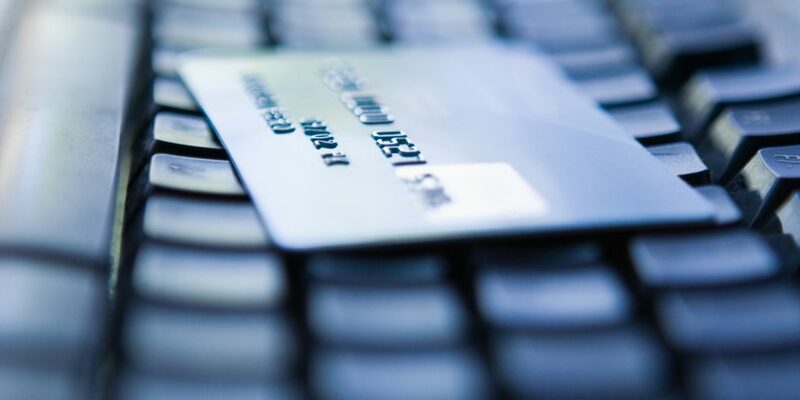 Where Vantiv really excels is in helping eCommerce businesses prevent fraudulent activities, including fraud-related chargebacks. In fact, they’ve developed an entire suite of tools for eCommerce businesses in particular, all of which are designed to protect you from potentially damaging security breaches and fraudulent activity. Vantiv is capable of plenty more, but it’s security features give it a boost in our mind. Vantiv can help protect your business, potentially saving you a ton of time, energy, and money that might otherwise threaten both your short and long-term cash flows. Avalara helps business owners manage sales tax calculations and filings. If you’re selling online, you probably know that collecting sales tax isn’t all that difficult. It’s the process of calculating, completing, and filing that burdens most eCommerce sellers. What makes Avalar a preferred choice among many eCommerce businesses is its automated sales tax calculations (using Avalara Returns). You can also opt for a DIY sales tax filing options, but Avalara makes it super simple to automate the process. What’s more, you can manage Avalara inside most accounting and/or eCommerce software. Avalara has more than 530 pre-built integrations, including: QuickBooks, Magento, WooCommerce, Shopify, Bigcommerce, and many more. You can check out a full list of all available add-ons and integrations here. TaxCloud makes it easy for eCommerce businesses—including retailers and wholesalers—to remain sales tax compliant. It’s also totally free (Automated Compliance Service only, otherwise $10 per month), which is a HUGE plus for any business who’s looking to remain cash-flow positive. TaxCloud, like Avalara, also maintain a rather large list of integration partners. Currently, TaxCloud integrates with more than 80 eCommerce and shopping cart platforms. In a nutshell, TaxCloud works with your shopping cart and/or order management software to calculate sales tax during checkout. Essentially, it handles sales tax calculation at the point-of-sale. TaxCloud does NOT file sales tax returns on your behalf, nor does it offer an automated calculations and filing service. This is something you must do on your own. Still, for a free service, TaxCloud is a handy tool for eCommerce merchants. Okay, so ShipStation isn’t exactly an accounting tool. But, it’s one of our favorite shipping tools for eCommerce businesses, which tremendously helps you cut down on your expenses. Simply put, ShipStation helps you save time and money, which is important for business owners who want to spend more time running their business, making money, and keeping cash flow where it needs to be. ShipStation integrates directly with most leading eCommerce and shopping cart software (Shopify, Bigcommerce, Magento, etc. ), as well as most leading inventory management providers (re: TradeGecko, etc.). It also integrates directly with QuickBooks, which is another reason why we had to include ShipStation on this list. There is no lengthy setup process or onboarding. You can be up and running with ShipStation in less than five minutes. From setup to fulfillment, ShipStation enables you to operate efficiently. Even better, ShipStation can help you scale your eCommerce business when you’re ready. You have a number of choice when it comes to accounting and/or financial services software to power your eCommerce, wholesale, or online retail business. So, there you have it. Which tools do you use to help your business stay cash flow positive?